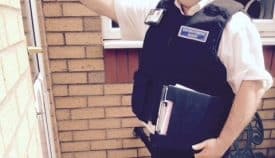 Have you ever wanted to become an Enforcement Agent (Bailiff) and wondered what the process is to become a Certificated Enforcement Agent. IES Training will look at the process and try to simplify the law and explain what is involved in the process. You should book yourself on a training course like one run by IES Training across the country and obtain a Level 2 Certificate in Taking Control of Goods, this shows the Judge you have the basic knowledge of the law to be considered as a Certificated Enforcement Agent. Gather together all your documentation including all of the prescribed forms required for Enforcement and carry out a CCJ check at the Registry Trust Online , Two passport photos, Two references, and your completed EAC1 application form and send to the County Court Business Centre in Northampton. Await for a court date and get your DBS check together with your bond and await your court date. The law says this is what the Judge must be satisfied with to issue anyone with a certificate. Unfortunately there is no exact definition within the act but this is interpreted differently by each Judge who hears your certificate application or renewal. The English Dictionary defines Fit & Proper Person as “Morally Suitable” so looking at your current position in life the judge will determine if you have and County Court Judgements (CCJ) or a criminal record, do they affect your moral judgement or in the Judge’s belief your ability to deal with the job. Do I have enough knowledge of exercising the Taking Control of Goods Legislation? This probably the this is the hardest part of the whole process and people think after watching the television programs that “I can do that” but it is not quite as easy as it looks. Codes of practice that have to be adhered to and balanced with the current legislation and court findings. That have to be completed legibly & correctly in the correct situations to the correct parties and in the correct manner. 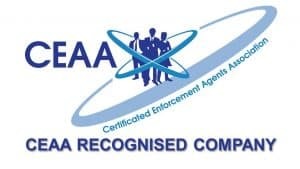 At IES Training we have over 50 years of combined experience within the Enforcement Industry with our training staff still active serving Certificated Enforcement Agents allowing them to pass their knowledge in to the classroom. Where do I find the prescribed forms mentioned in paragraph (iv)? These can be found by visiting the Ministry of Justice website but at IES Training this forms part of your training package with us that we will provide you with the resources to make your application. What is the security I need lodge with the courts? IES Training has strong links within the industry and can get Bonds that will cover the £10,000 security that is required by the court to form part of your Certification. This security can also be by a cash transfer to the courts and covers any awards made to debtors who have made a claim that has been upheld by the court in relation to you being “A fit & Proper Person”. Can I buy debt and then go and collect it? An Enforcement Agent cannot work for a company that purchases or purchase debt their self now or in the future whilst holding a certificate to be an Enforcement Agent. At IES Training we offer the full training package from the classroom to Court Room and beyond with us being very close to several Major companies offering remuneration packages to new Enforcement Agents in selected parts of the country.